We just made a custom paper box for the lipstick packaging for a Sweden client, Marena Beaute. 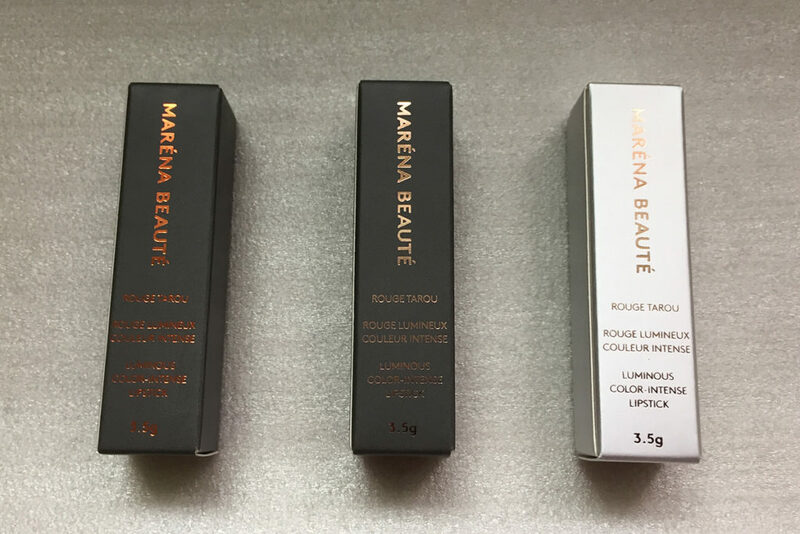 Maréna Beauté is a new Swedish cosmetics brand that offers high-quality makeup for dark skin. The color palette of the makeup has been exclusively developed to match the complexions of women of color. The collection was launched in 2015 by the black makeup artist Diarry Maréna, originally from Senegal. The sample making of this custom lipstick paper box is a process, which has 3 stages. Cosmetic paper boxes usually are usually made of the specialty paperboard with fine textures. At the beginning, we chose the matte silver cardboard, which has the gorgeous look outside. The matter silver luster is very eye-appealing and looks quite upscale. However, this paper just doesn’t fit in. We forgot that the lipstick is specially designed for the dark skin. A silver look is more appropriate for the white skin. Since the silver paperboard didn’t work. We had to follow the designer’s instruction to print a PMS color, Pantone Cool Gray 11C. It turned out that this gray color was quite a brilliant idea. We achieved great success by using this color. It looked very beautiful, particularly for the people of dark skin. After we got the correct paper material, we had to pick the perfect color for the bronze foil stamping, which has many color variations. We tried the deep bronze foil color and light bronze foil color. The light bronze color stands out. The matte deep gray color of the paper box is a great match for this light bronze foil color. The paper box quite agrees with the designer’s idea that dark skin can stand out to be beautiful. Shanghai DE Printed Box is a leading China paper box supplier, learn more about our printed paper box products on our home page. This entry was posted in Packaging Design, Printed Packaging Enterprise Management, Printing And Finish on September 26, 2018 by Jane.